From the creator of Murasaki Baby comes the Last Day of June, an interactive puzzle-based game that looks to tug on your heart strings. The talented Ovosonico are leading this one, but what is it really all about? 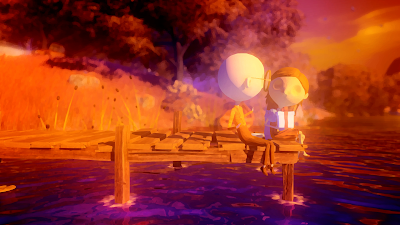 I recently had the opportunity to check out the Last Day of June, an upcoming title by 505 Games and Ovosonico. The Last Day of June is an interactive, story-based puzzle game that has you play as Carl - a man who is still dealing with the loss of his beloved other half, June. After a car crash that changed his life significantly, Carl finds himself re-living the sequence of events leading up to that moment in a desperate bid to save June’s life. At this point it's worth mentioning that I unfortunately didn’t get to go hands on with the game; Instead we were given a screening of the Last day of June with running commentary by director Massimo Guarini, who gave us a more detailed insight into the creation of the game and the real meaning behind it. Interestingly enough, the idea behind the game originally began with a song called Drive Home by artist Steven Wilson. The video itself features stop motion animation, which is another strong point of inspiration considering the Last Day of June's art direction. The mournful tone of sound behind the video evoked some incredibly strong emotions, which is something that Massimo really wanted to emphasise in the Last Day of June. I think we can agree that this clearly shines through in how Carl and June had so much love, later switching to Carl who not only has to deal with the death of his wife, but the consequences the car crash had on him also. In the story, Carl re-enters June’s studio after staying away from it for so long, only to discover that the paintings she created give you the ability to travel back in time and live through the lives of the other characters whose paths are also connected to the crash. Each character has some part to play and figuring that out is the real meat of the game. The goal is to place each character into a specific event, with the right combination bringing you the ending you desire. To me, this implied there are several ways to go about it, which is really exciting. There are also side missions which can be accessed by collecting blue orbs dotted around the different areas you'll find yourself exploring; They are however character specific, so if you are playing as the wrong person, you'll be unable to access certain memories. The main thing I took away from this is that completing one scenario doesn't necessarily mean the crash won't happen, which I felt was pretty cool. It's all about the right choices, but then you won't truly know what the right choices are until you see the final scenario play out. You'll have to play through the other characters in the village and figure out how their involvement affects it. The right combination of events, which I assume is going down a different path for each one, will avoid the crash. It was mentioned that due to this, the game isn't linear and therefore, finding the right combination will be a little more complicated than initially thought. Maybe there's more to just finding out each characters true purpose? 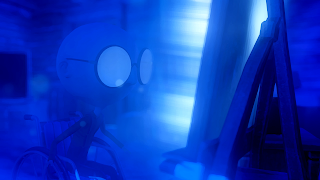 The Last Day of June has a very cinematic quality to it, which is simply beautiful and I its stop motion inspired art direction really aids the overall charm. The choice of music only emphasises this, serving to only deepen the feelings you'll develop towards each character! Lastly, if the goal is to save June by controlling the outcome of the other characters, surely that would do something with their lives as well? In a sense if the crash was meant to be, seeing how characters come out of it and the consequences that follow would be a very interesting thing. Though, maybe I'm looking way too much into it.